Houses & Homes VA: Oh no. Not another dreaded under-appraisal! Oh no. Not another dreaded under-appraisal! It doesn’t happen that often but it does happen. If there’s one thing that will ruin a deal faster than the speed of light it’s when the appraisal value is less than the agreed upon purchase price. What a terrible situation for everybody involved. This is one time when everybody losses, even the lender. The buyer doesn’t want to pay the difference, the seller doesn’t want to lower the price and the bank most certainly is not going to approve a mortgage for more than they are being told that the home is worth, so now what? What is the typical reason for a property to be under-appraised? Often a market where the home values are declining is the beginning of the problem. If there is a lack of recent home sales to compare to along with a high number of foreclosures or short sales it’s easy to understand how the appraiser can come up with a much lower than expected value for the home in question. A less common occurrence is when the appraisal is done by someone without the proper experience or that may not be familiar with the area. Whatever the cause a low appraised value can wreak havoc on what seemed to be a fair deal for everyone involved. There are some steps that can be taken by both the seller and the buyer to help avoid this pitfall. The seller has the right to request that the lender use an appraiser that is familiar with the area and has the appropriate certifications (such as the SRA or MAI designations). If you are the seller you might consider meeting the appraiser at the home and make him/her aware of any recent foreclosures or short sales that you are aware of. They’ll appreciate your input if they weren’t already aware of this information. If you are selling your home it would make good sense to have an appraisal done before you place your home on the market. This will prevent you from listing the home for more than it is actually worth and save you a lot of trouble down the road. Once you receive the appraisal you can provide it to the buyer’s appraiser as an aid for them to determine the value of your home and this might help to avoid the problem of a low appraisal altogether. If you do receive what you consider to be a low appraisal you have the right to question it. 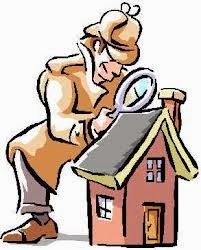 If you can provide any new information that might cause the appraiser to reconsider it might well be worth your time. Labels: charlottesville, home selling, House, housing market, Keller Williams, Richmond Keller Williams, Valorie Ford & Co.